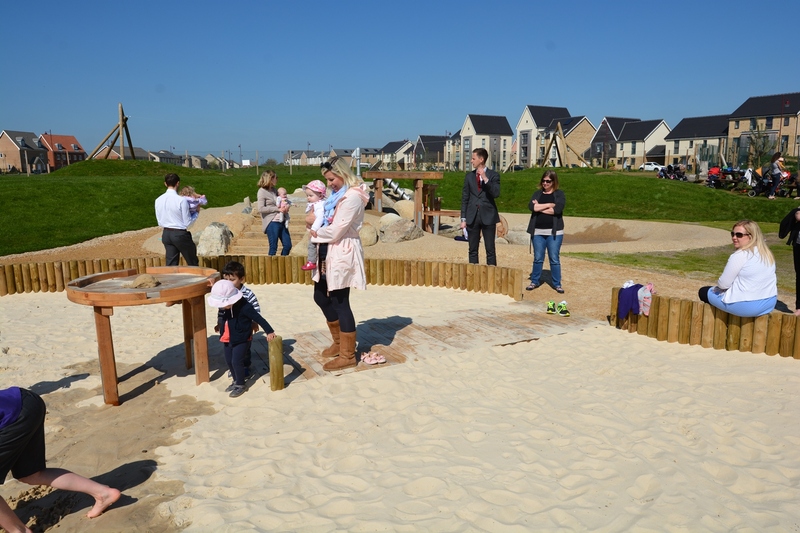 In 2014 we submitted our tender and bid for the extension of Upper Cambourne’s Big Leap play area. 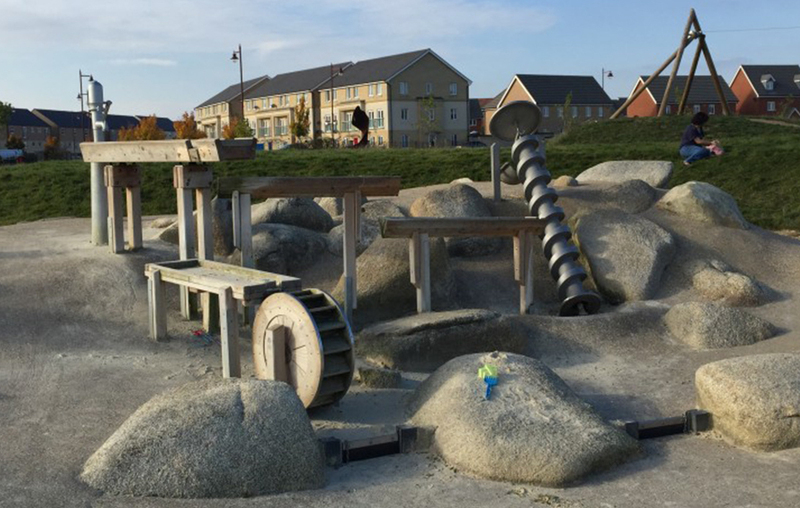 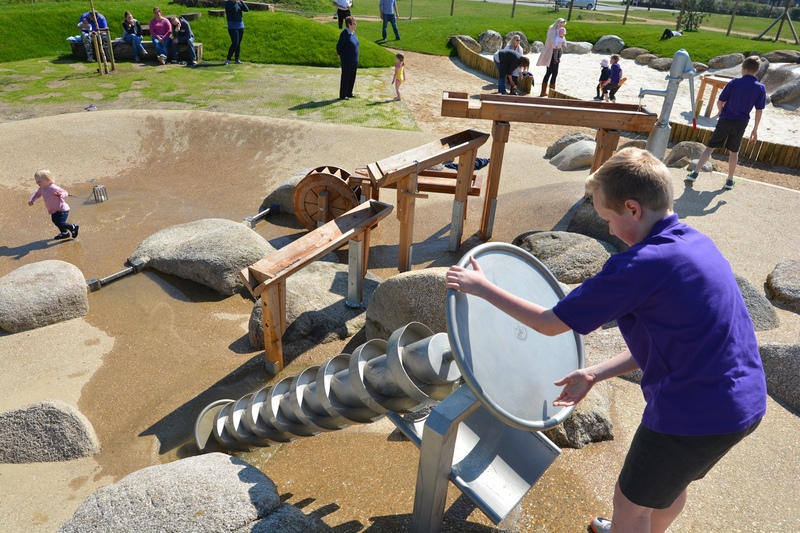 The extension was a concrete wet play area with a sand area, Archimedes screw and various sluices for children to move water around the play area. 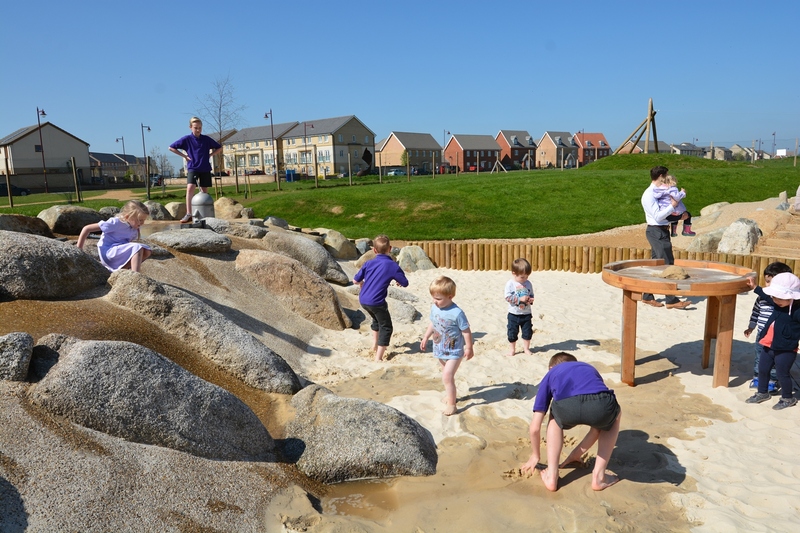 Fresh water is used so there are no nasty chemicals to harm users or the environment, this also eliminates the requirement for water filtration systems which require maintenance and are costly to install and run. 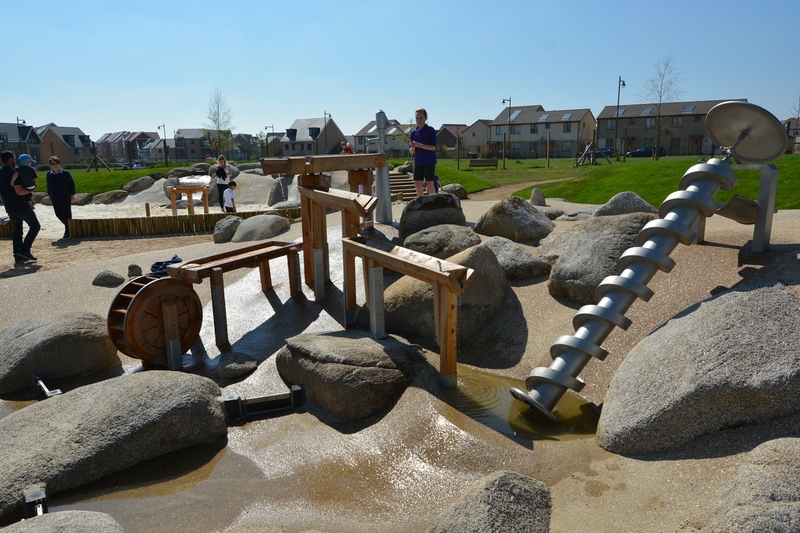 The project started in the winter of 2014 and opened to the public in May 2015.